Though it’s not an obvious consideration, any business that needs to ship products should consider rail siding as a serious factor in this decision. If you’re not familiar with the concept of rail siding, it essentially refers to a smaller segment of railroad track that’s different from the traditional tracks; in other words, warehouses with rail siding have more direct access to trains that carry your shipments. For many reasons, rail siding can be a valuable asset to any company that requires a logistics provider, even if you don’t need it for every shipment. 1) Rail siding is a safer option than shipping with trucks — for your goods and for the environment. Moving a shipment via train is a safe option that cuts down on the possibility of crashing or overturning, which could happen with a truck. Rail siding also keeps your products moving through adverse weather conditions that could otherwise prevent your shipments from getting where they need to be. Using a warehouse that offers rail siding also cuts down on the environmental damage of shipping. Trains give off less carbon dioxide than trucks, so using this service will help cut down on your carbon footprint. Not only is rail siding good for your products, it’s good for the earth. 3) It can save you money. The high-volume and high-speed capacity inherent in rail-siding services combined with lower fuel consumption makes rail services much more affordable than transporting goods using trucks. Hiring a warehouse that offers rail siding gives you the flexibility to take advantage of the lower costs when it’s necessary and helpful. 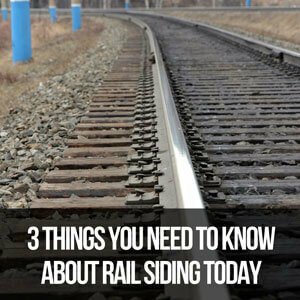 There are definitely advantages to rail-siding services, and though it’s not always necessary to use trains for your transportation, it’s an option you may want to have available. 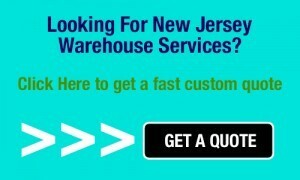 Quality Warehouse offers multiple modes of shipping and transportation, including rail siding. Click here for more information about our rail-siding service.